External demand dynamic cooled off last year and is expected to continue abating in 2019 and the coming two years. Public and private investment will drive growth for another year. Thereafter we expect private investment activity to subside gradually. A further decline in unemployment is driving rapid wage increases. 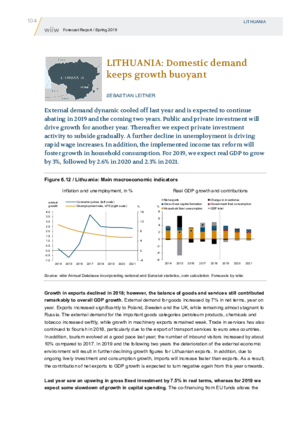 In addition, the implemented income tax reform will foster growth in household consumption. For 2019, we expect real GDP to grow by 3%, followed by 2.6% in 2020 and 2.3% in 2021.